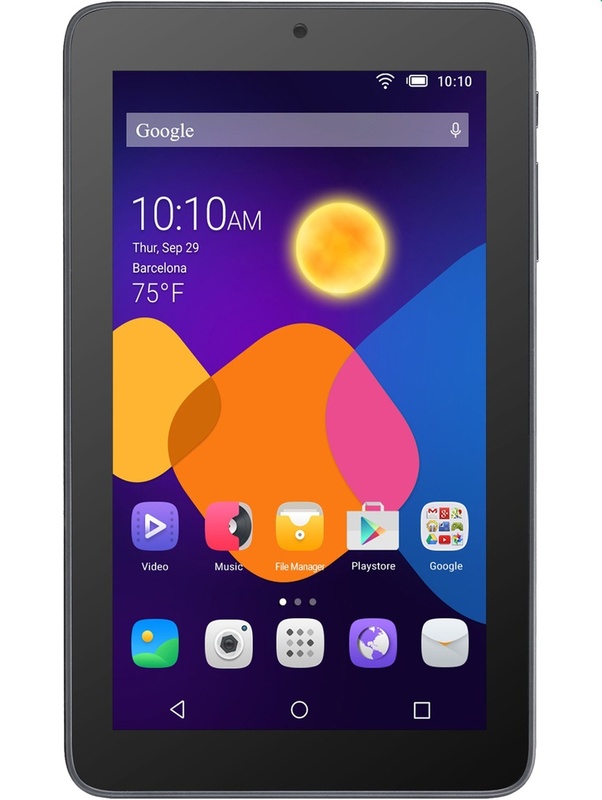 7.44" x 4.37" x 0.36"
Alcatel's OneTouch Pixi 3 has a 7-inch TFT display with 1024 x 600 resolution. The OneTouch Pixi 3 offers 4 GB of internal storage with a removable storage option for up to 32 GB of extra space with a microSD card. Equipped with 3G access, the OneTouch Pixi 3 gets nationwide coverage on Ting's GSM network.